A two-disc set of ad hoc performances from 1967, albeit refurbished slightly for this release, "The Basement Tapes" provides the missing link between Dylan's long, poetic songs of the mid 60s and the shorter, more direct songs of the late 60s. Some of the songs had already become well known: "Too Much of Nothing," "Tears of Rage," "This Wheel's on Fire," and "You Ain't Goin' Nowhere." Most of this music is selected from the many songs originally taped by Garth Hudson during the basement sessions with Dylan in Big Pink. 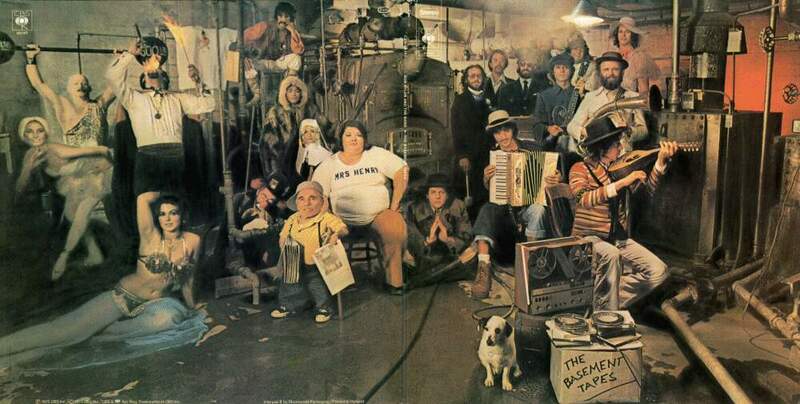 A much more extensive collection of these songs can be found on the 5 CD (bootleg) set "The Genuine Basement Tapes Volumes 1-5". 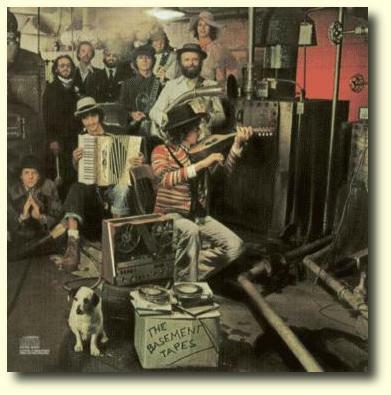 John Howells, the maintainer of the Bob Dylan "Bringing It All Back Home" WWW pages, has written a very good review of the "Genuine Basement Tapes Volumes 1 - 5". In his book Bob Dylan: The Recording Sessions, Clinton Heylin is rather critical to the selection of songs used on this album, claiming that several of the tracks were not recorded during the basement sessions with Dylan. Both Columbia and Sony have released The Basment Tapes as 2-CD sets. Remastered CDs (no bonus tracks) followed in March 2009, on the Legacy label. Double album in gatefold sleeve with notes by Greil Marcus.